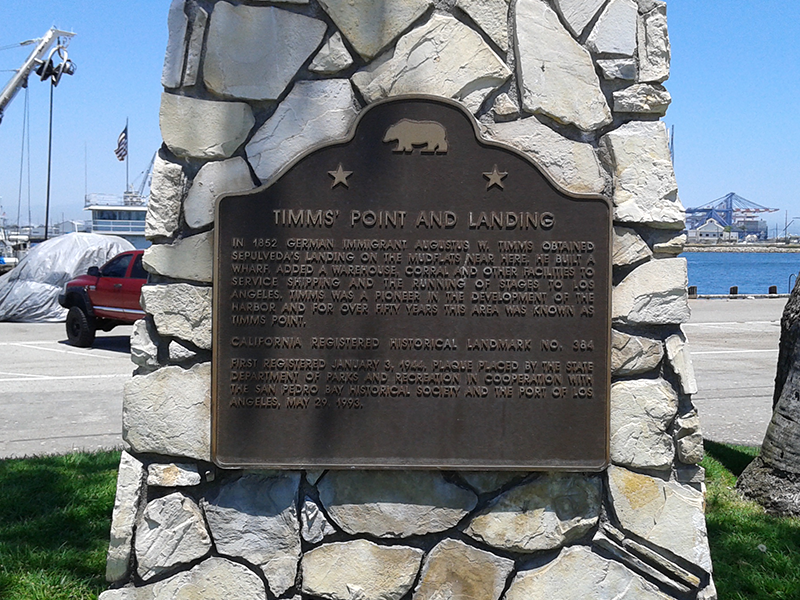 Timms’ Point and Landing was established in 1852 when Agustus W. Timms bought Sepulveda’s Landing from the Sepulveda family. Mr Timms improved the landing adding houses, a hotel, a bathhouse, corrals and a wharf. Stagecoaches and freight wagons operated between Timms’ Landing and the growing city of Los Angeles. 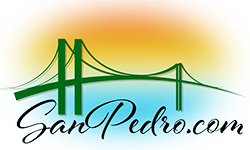 When the San Pedro & Los Angeles Railway was built from Los Angeles down to Timm’s Point in the early 1880s, commerce and the popularity of Timms’ Point rose dramatically. In addition to its importance as point for commerce, Timms’ Wharf was also a popular destination for recreation including clamming on the local mudflats. Agustus W. Timms died in 1888. His widow sold Timms’ landing to the Southern Pacific Railroad in 1902. The harbor has changed considerably over the past 115 years. The area where Timm’s Point and Wharf were located is now underwater. A marker and plaque were placed near Berth 73 in 1993 to mark a spot near where Timms’ Landing and Wharf played a vital role in the history of Lo\s Angeles..